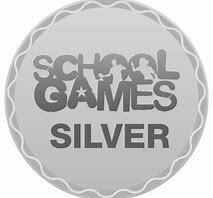 We are proud to announce we have been awarded our silver level school games award. Well done to all our fantastic participators in our sporting events- we are looking forward to further success next year. Our school have been playing lots of tournaments and games for rounders this term -enjoying success on the field. Well done to our sporting stars. We have also enjoyed some football matches for both boys and girls and our teams again were valiant in their efforts. We joined other Lichfield and Burntwood schools for athletics in Beacon Park and lots of our children won medals in their events. Well done to all our participants. Our y5/ and Y4/5 hockey teams played against Cathedral school. Both teams played very well, one winning 7-1 and the other losing 4-6. Great team spirit everyone. Our Cross country teams were back in action, Joe O came in 5th from 100 competitors. Again a great team effort displayed by all. Our boys football team did very well, playing in two tournaments recently. They played in the district final and came second in the small schools tournament . They played really well as a team and have shiny, silver medals to remind them of their fantastic achievement. ​​Our netball and football teams have been busy with matches this term. They have played well as a team and enjoyed the experience gaining some draws in their games. ​The football team also partook in a district tournament drawing one and losing one game. Our girls cross country team competed at Whittington. They showed real determination and perseverance and came second in the small schools category. Well done girls! Well done to our Y3/4 team who battled against the elements at their football tournament on the 18th January 2018. They worked well as a team to lose, draw and win a game. We await results to see if we have progressed to the semi finals.